Autumn 2018 has welcomed the return of concerts to Bishopsgate Institute, celebrating the restoration of their Piano in Residence, Myra: the beautiful 1927 Rosewood Steinway Model D Grand piano once owned by beloved British pianist, Dame Myra Hess. 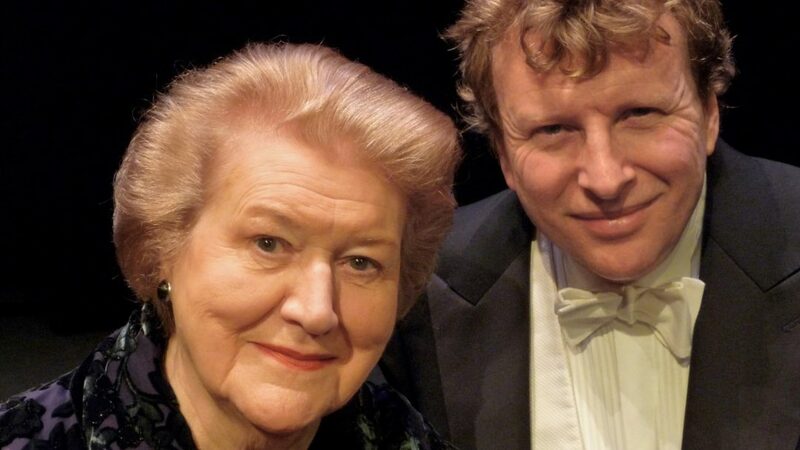 Admission: One Shilling is a musical and theatrical collaboration between multi-award-winning actress Dame Patricia Routledge and international concert pianist Piers Lane, tells the extraordinary, inspiring story of Myra Hess and her famous wartime National Gallery concerts. Compiled from her press and radio interviews during World War II by Myra’s great-nephew, composer Nigel Hess, Admission: One Shilling is Myra in her own words: redoubtable, courageous and inspiring. This acclaimed show has toured for almost a decade yet these 17 November performances at Bishopsgate Institute will mark the first occasion that the pieces are played on Dame Myra Hess’s very own Steinway & Sons piano. Through spoken word performance taken from letters, books and interviews given by Myra, interspersed with short piano pieces by Schubert, Schumann, Brahms, Beethoven and JS Bach – hear, how the ‘great adventure’ of these lunchtime concerts began, and how they continued while bombs rained down on London. Admission: One Shilling is at Bishopsgate Institute on Saturday 17 November 2018 at 2pm and 9pm.